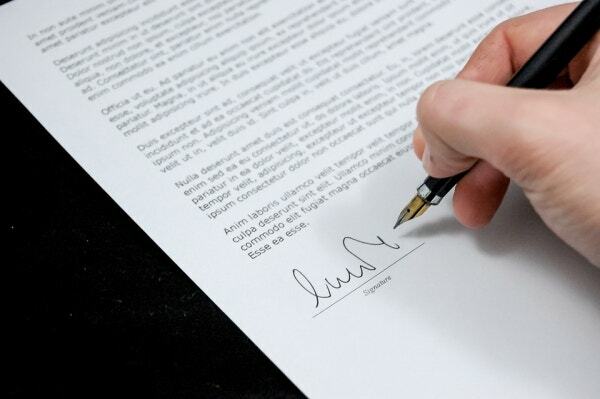 If you are looking to rent your property, you just cannot do it without a properly designed rental agreement. 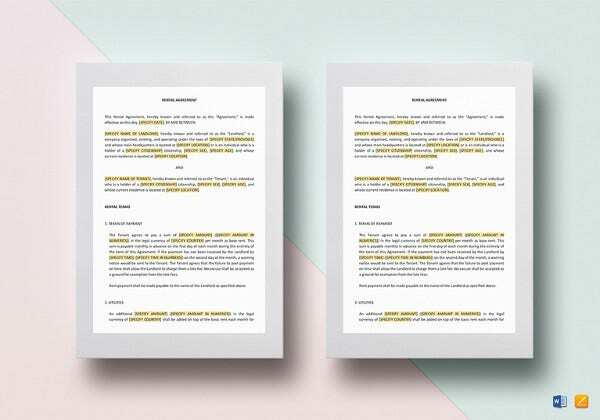 Rental agreements are difficult to devise, having to choose the language along with the requirement of fine attention to details, as it is a legally binding contract. 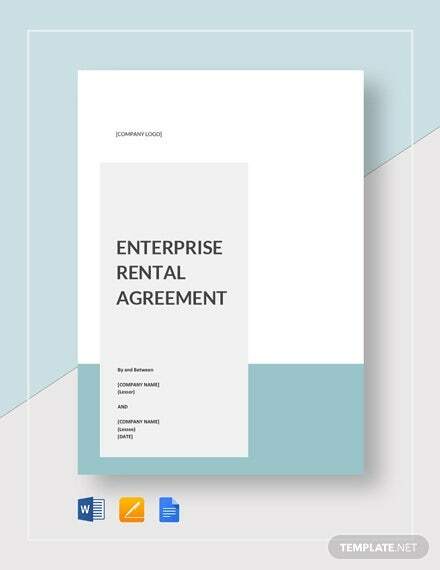 To save you from the trouble of forming your own rental agreements, we have listed below various kinds printable rental agreement templates, which you can readily use to form your own rental agreement contracts. 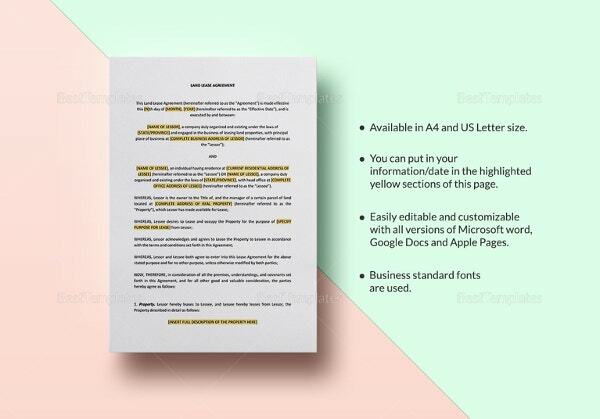 If you wish to collect rent for your property on a monthly basis, then this printable rental agreement will be a good choice for you. 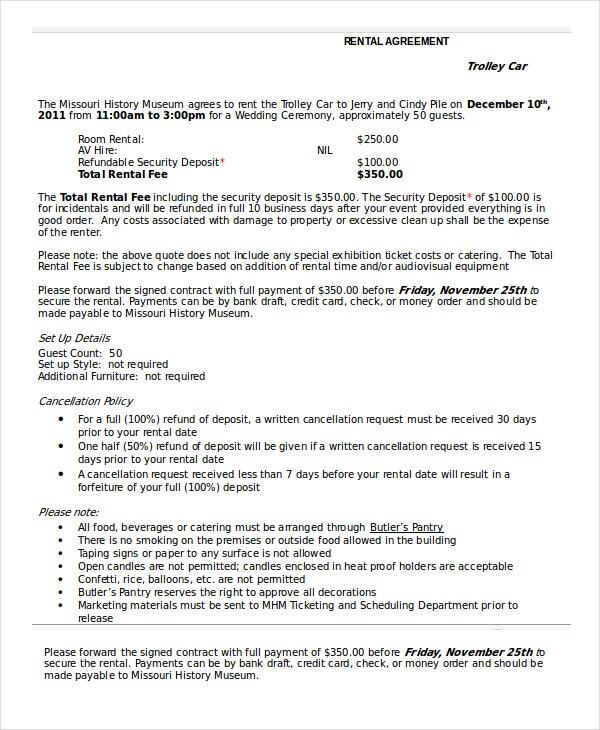 It has all the standard points of a rental agreement. 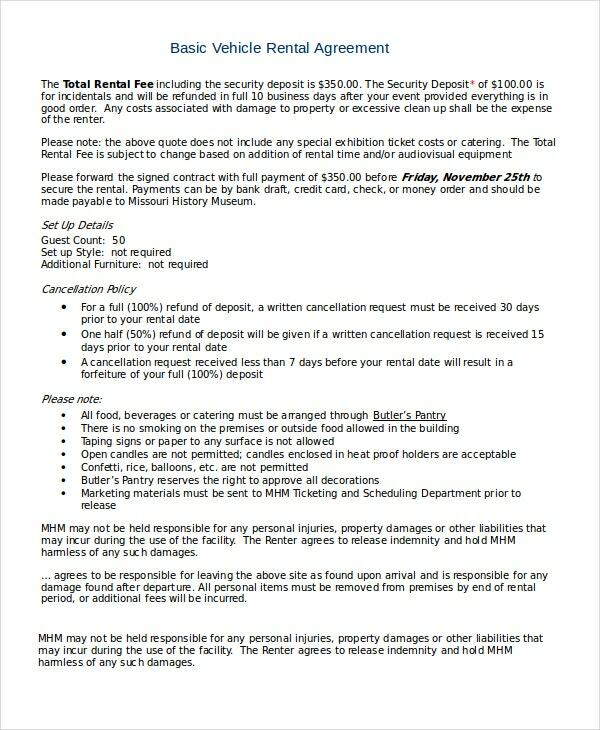 For those who need to give a room out on rent, this printable rental agreement template will be highly useful. You need to specify details about your property, tenant and rent and deposits to complete the template. 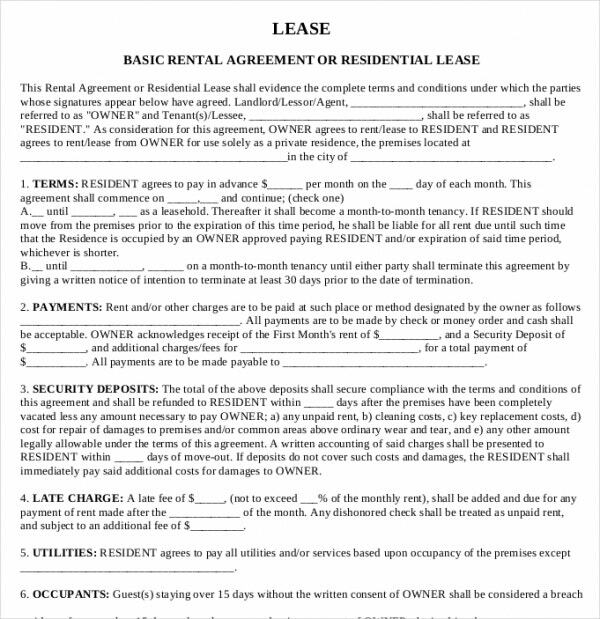 This printable rental agreement template will be very useful for creating a lease agreement for your property. You just have to fill the necessary details of your property and tenant in it. 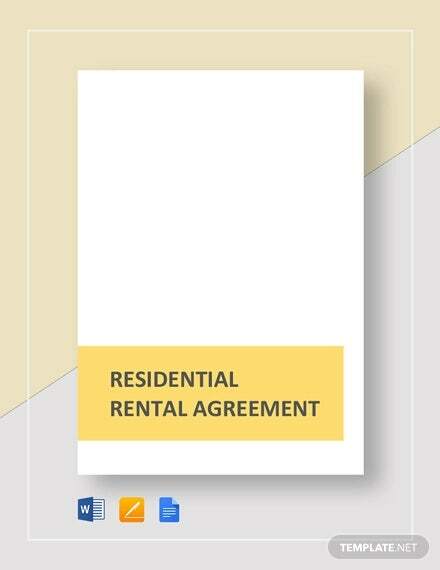 This printable rental agreement template is specifically designed for the purpose of renting residential properties. Details of the property, payments, tenants and landlord are required to be filled in it. 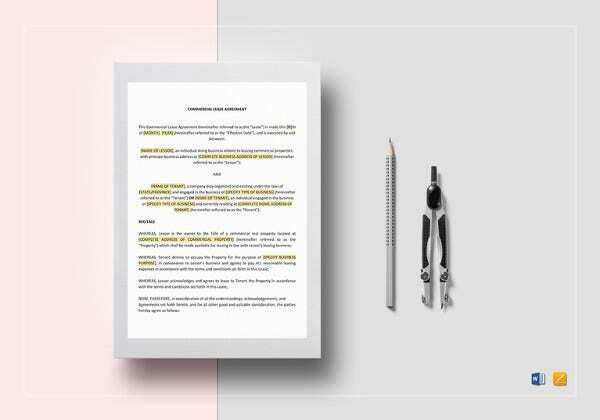 > How Does A Rental Agreement Work? 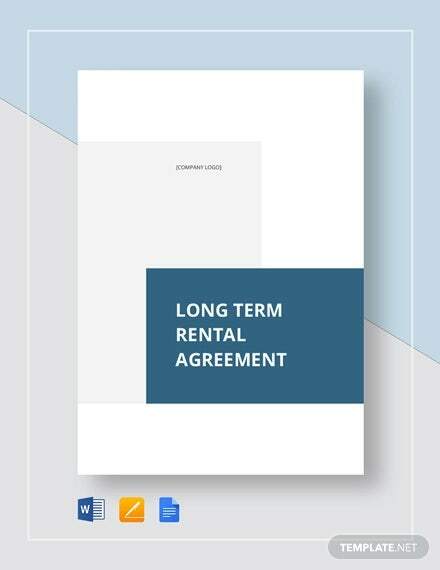 A rental agreement is a legally binding contract made between two parties, one who is the owner of the property given to rent, usually referred to as the landlord and the other who is renting the property, usually referred to as the tenant. 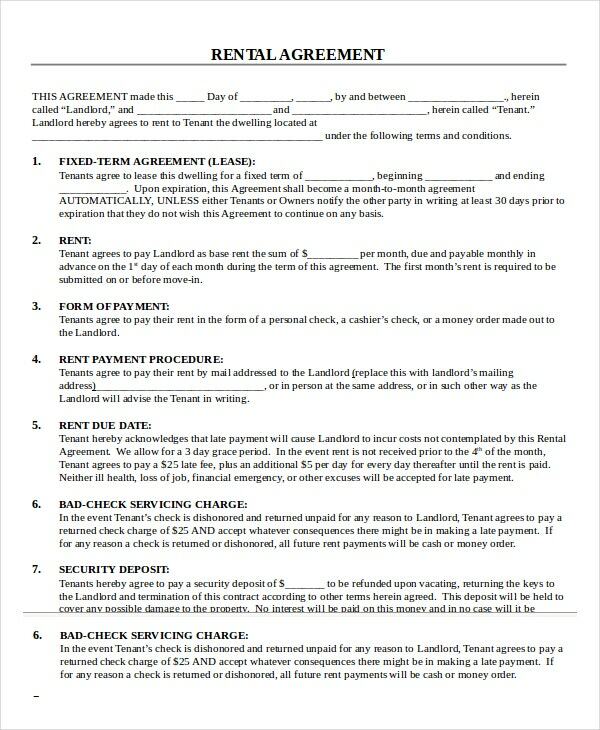 This agreement states the terms on which the tenant is given the possession of the property, the amount of rent and deposit the tenant has to pay, frequency of payments, time period of possession, what the tenant is allowed to do with the property and penalties the tenant will incur for breaking different rules of the agreement. 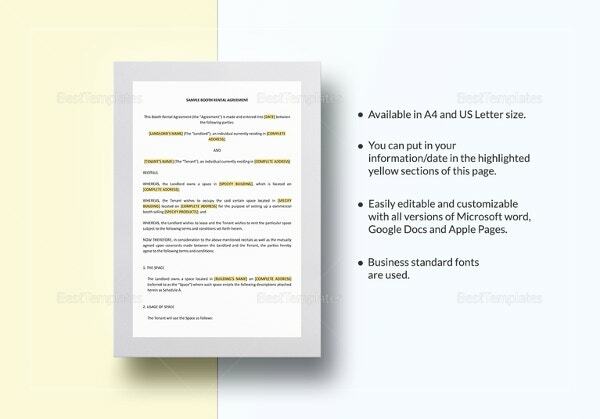 > Who Can Use Rental Agreement Templates? 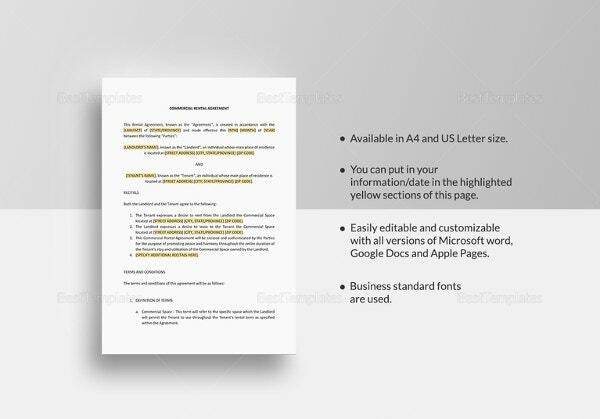 These rental agreement templates can be used under various situations by different kinds of people. 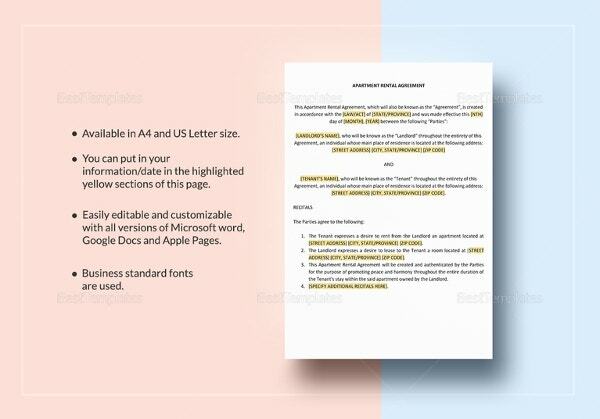 Basically, if you are an owner of a property, a house, apartment, building, office space, etc and are willing to rent your property, you can use the given templates to draw up an agreement between yourself and the person or the organisation you wish to rent your property to. 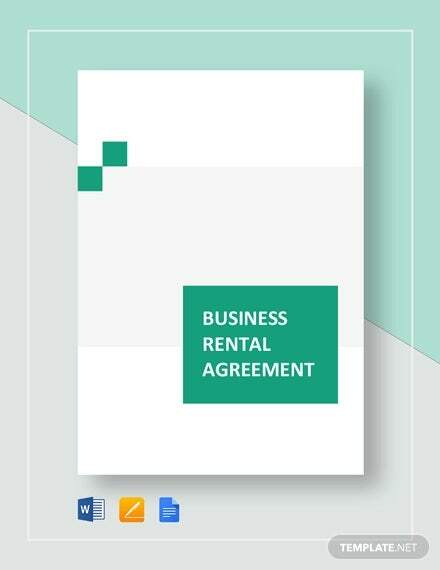 The template has everything which a standard rental agreement requires and all you need to do is fill specific details regarding yourself, your property, terms of the lease and details of the tenant to complete the template. 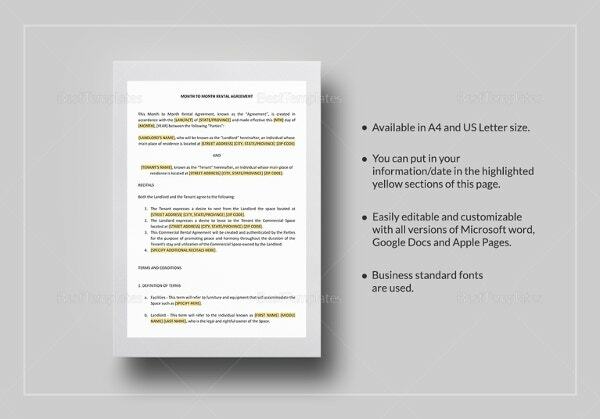 > What Are The Benefits Of Printable Rental Agreement Templates? Generally, to draft a rental agreement, people have to take legal assistance. Formalities like inspection of your property also have to take place. This not only involves a huge amount of time but also requires you to shell out a lot of many. 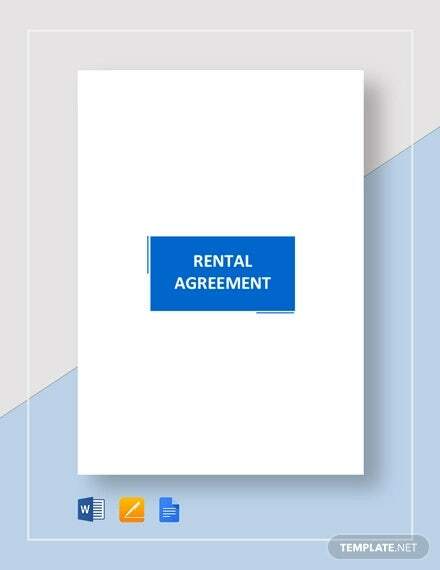 The benefit of these rental agreement templates is that they help you in saving a lot of time and money. 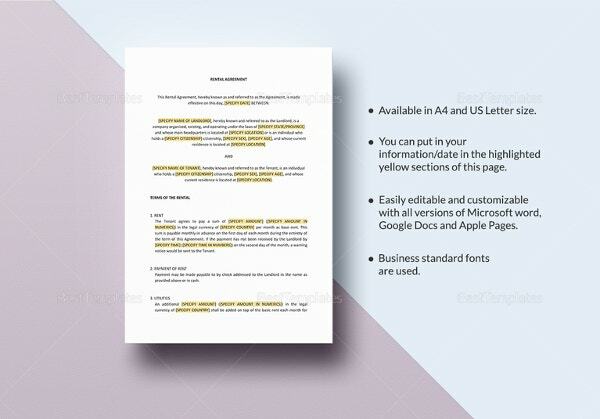 These templates already possess all the requirements of a standard rental agreement and you can use them directly without requiring any editing. 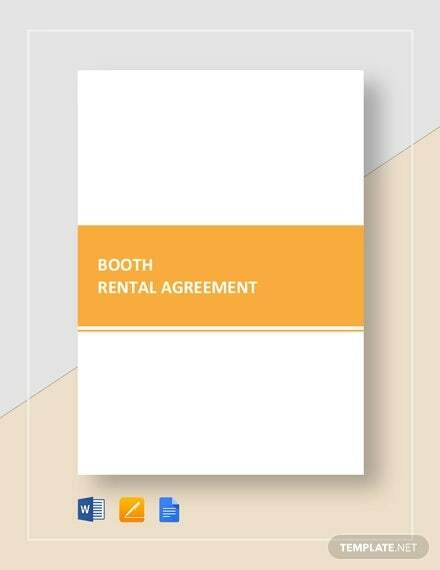 Therefore in no way you can prepare your own rental agreement without having to spend any money at all. 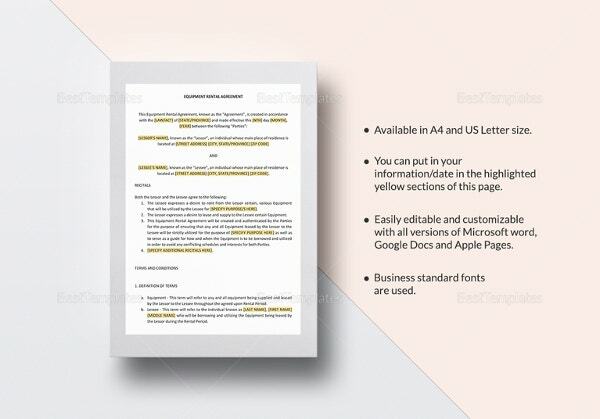 Using these printable lease agreement templates, you can easily have a print-ready rental agreement for your property in no time. 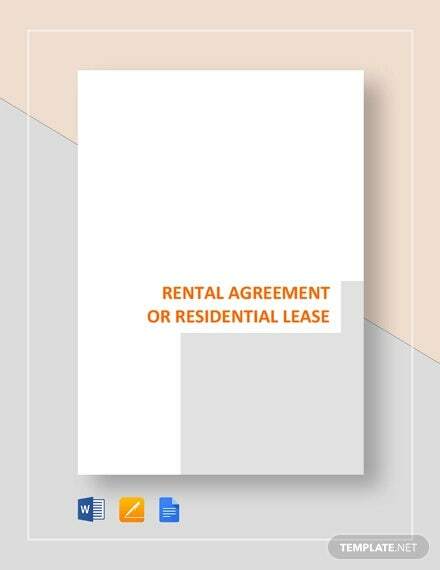 Check out the various printable rental agreements, and choose the one that best suits your property. 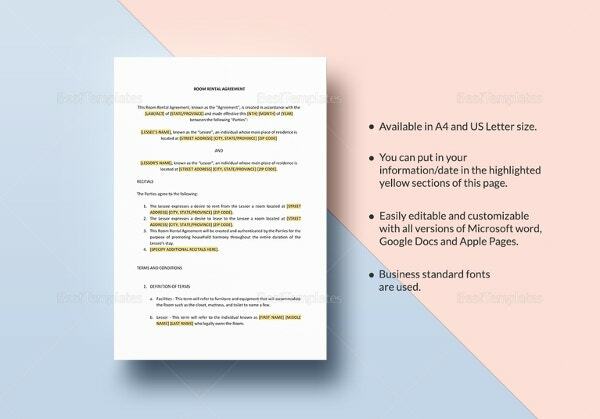 The templates can be used without requiring any editing apart from specifics of your property.You can also see Commercial Rental Agreements.